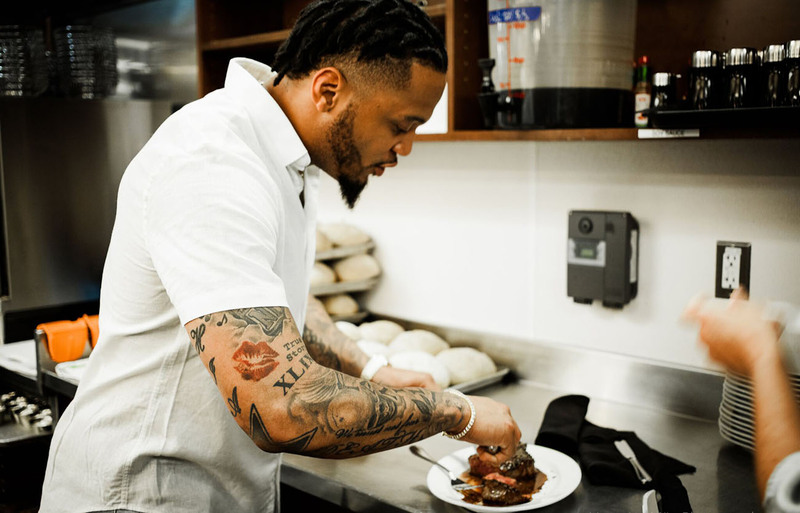 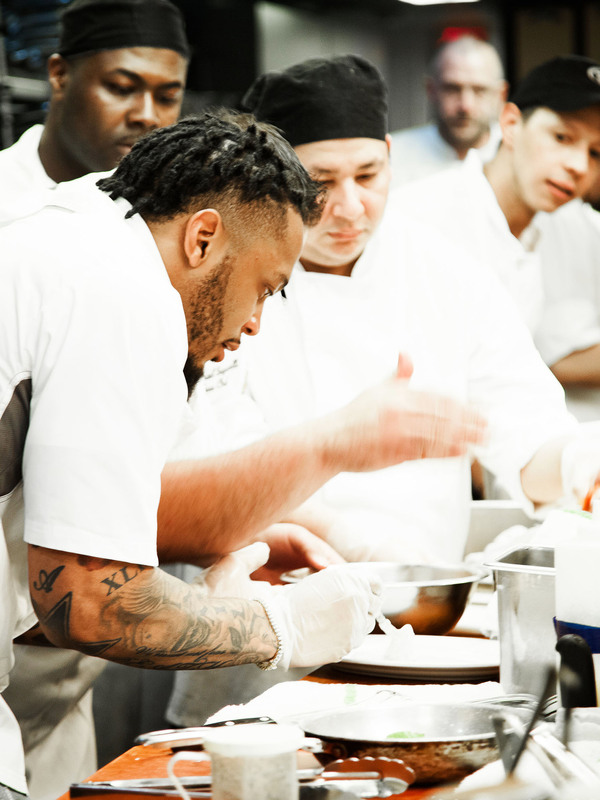 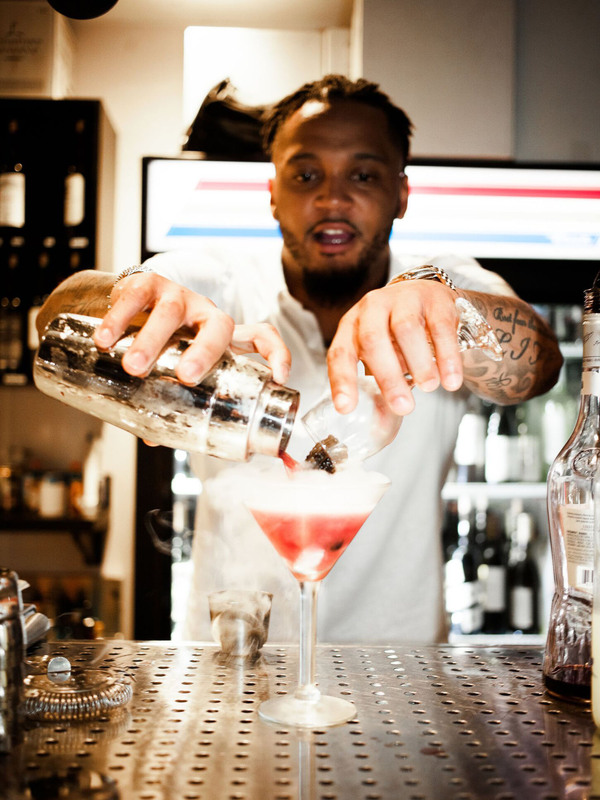 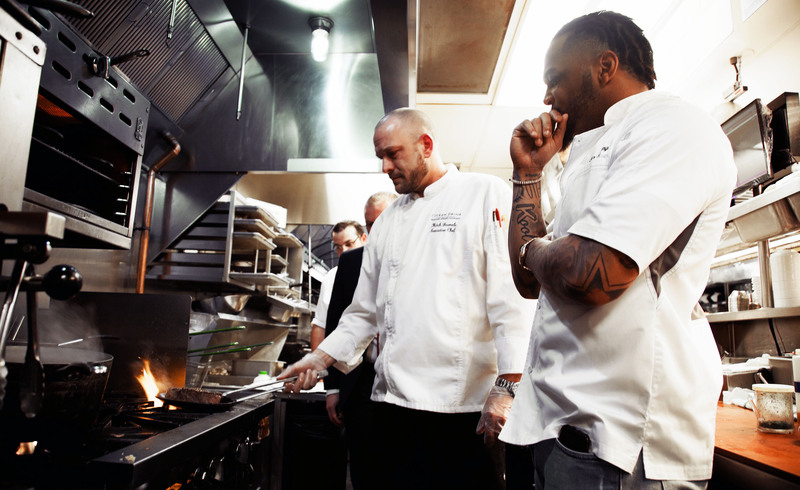 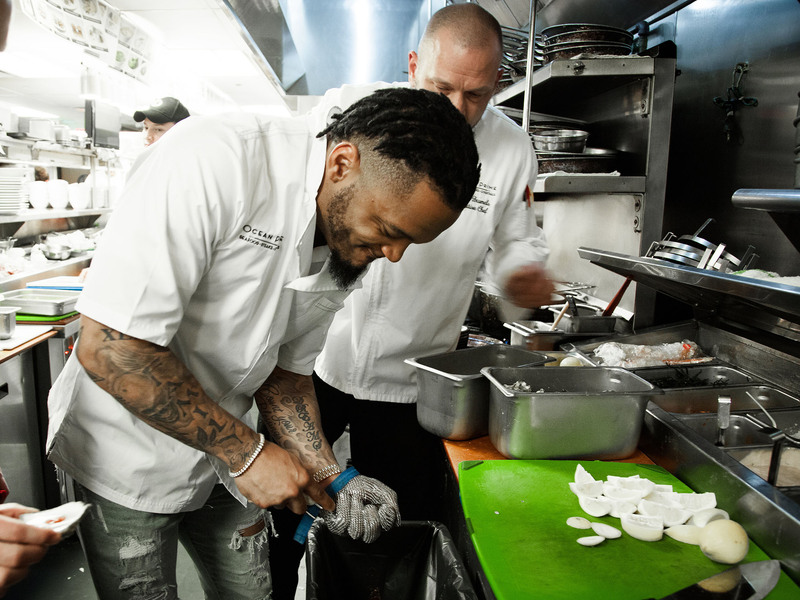 All it takes is one look at Patrick Chung's Instagram page to see that the 30-year-old safety from Kingston, Jamaica, loves to throw down in the kitchen. 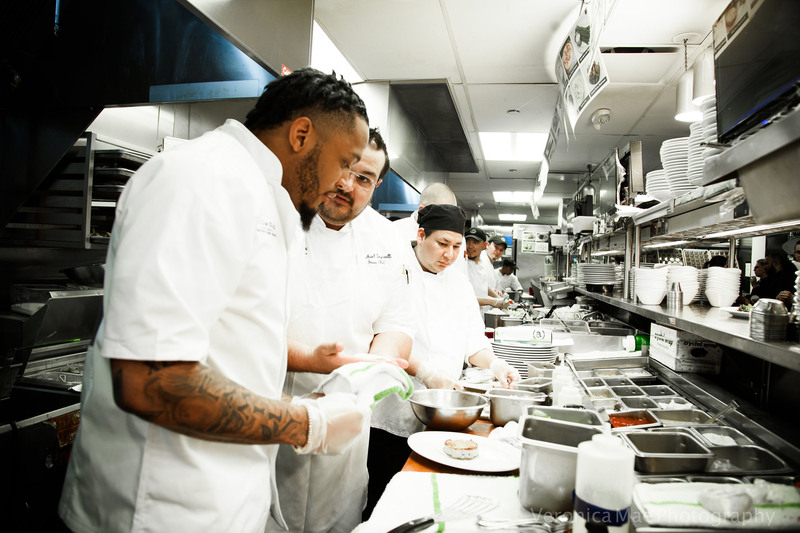 On May 11, to raise money for charity, Chung took over as general manager of Ocean Prime in Boston, mixing cocktails and serving up dinner to hungry fans. 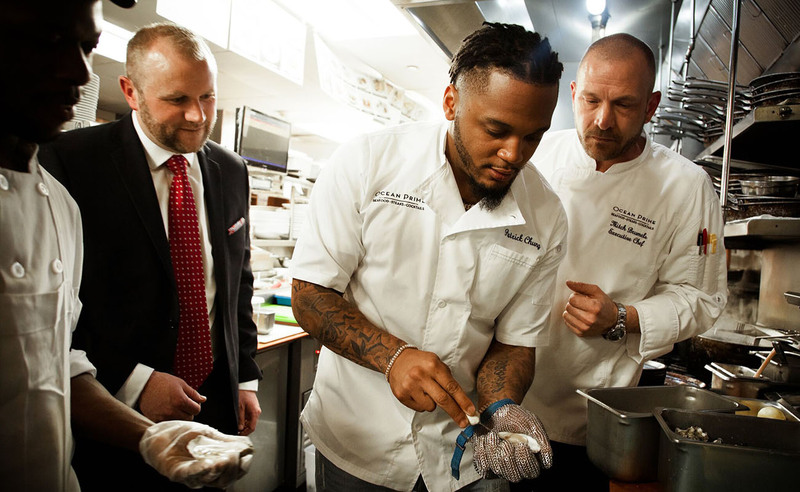 Below, Chung gives a behind-the-scenes look at his night, where he swapped football clothes for a classic white chef's coat and went to work. 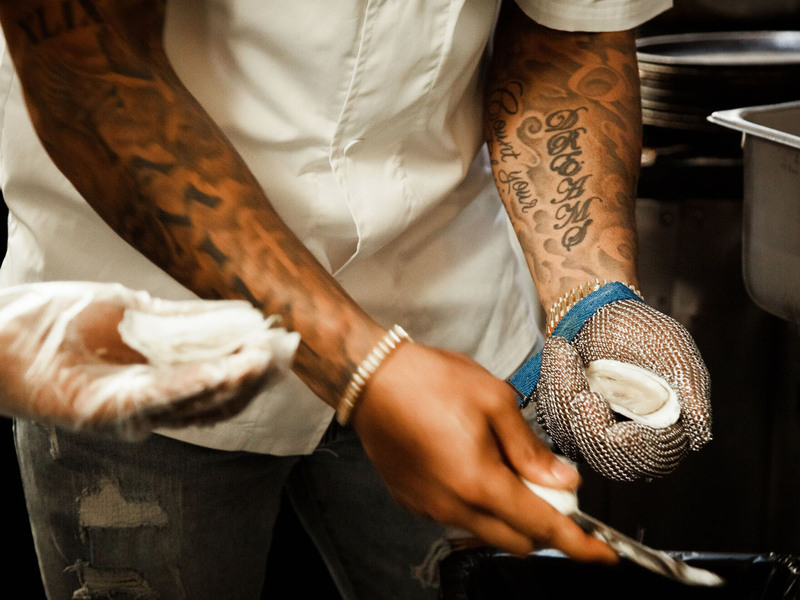 Photos by Victoria Mae Photography. 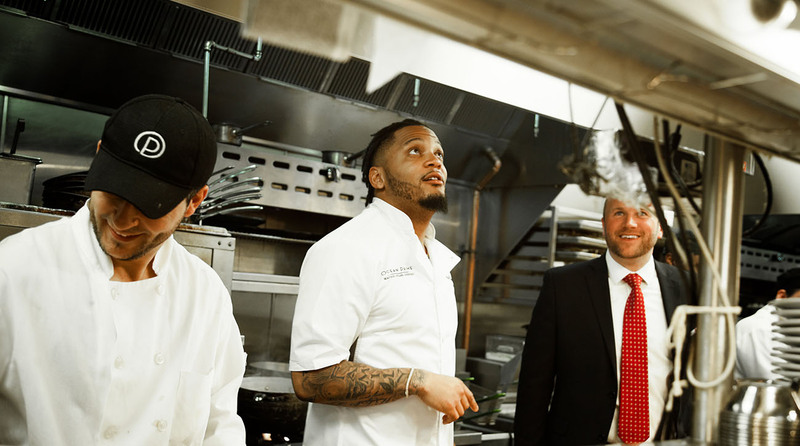 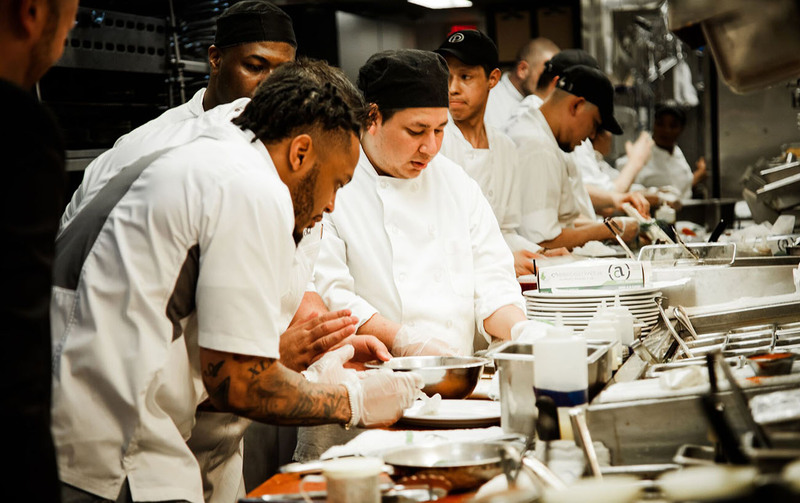 "Ocean Prime has been my spot in Boston for a while and I have become good friends with the general manager, Nick Foley. 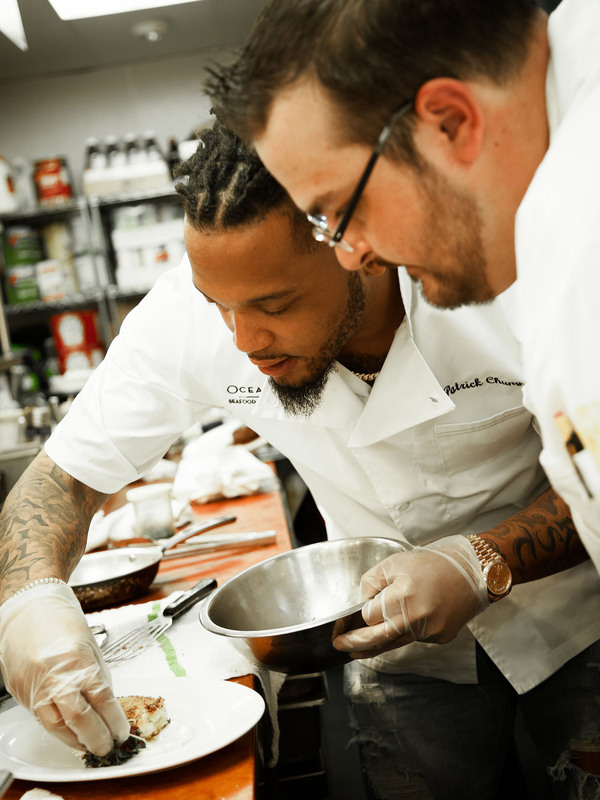 Nick and I were trying to figure out different ways to put something formal together at the restaurant and thought it would be fun if I took over his position as GM for the night to raise money for Asperger / Autism Network (AANE)."